In 2016, voters cast 9.6 million ballots. Provisional ballots made up about one-ninth of one percent — 10,998. As Florida’s races for Governor and U.S. Senator both appear poised for a recount, the world waits to see how many provisional ballots are out there, waiting to be processed. When a voter’s eligibility is in question — if they don’t have ID or aren’t clearly at the right polling place — they have a chance to fill out a provisional ballot and prove their eligibility later. Most are eventually denied, because they don’t follow up. Provisionals typically make up a tiny fraction of the overall votes cast. In the 2016 general election, voters cast 9.6 million ballots. 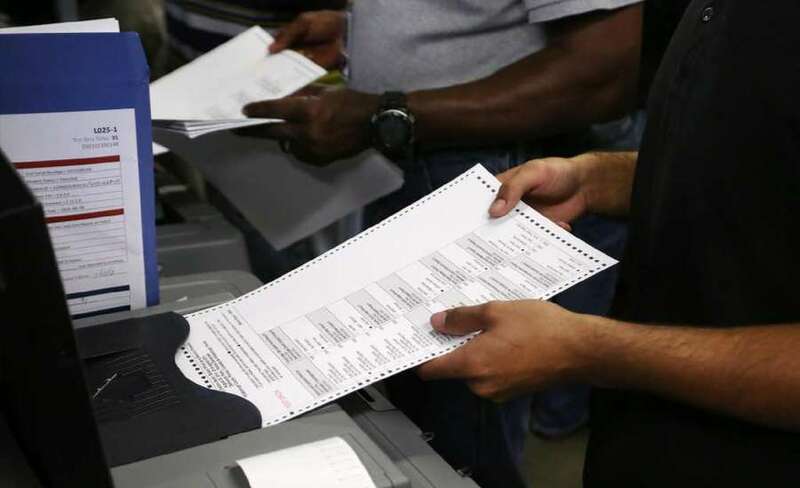 Provisional ballots made up about one-ninth of one percent — 10,998. In the last midterm, there were 6 million votes, and again, about one-ninth of one percent were provisional. That meant 7,199 provisional ballots counted. Though those margins are tiny overall, they provide a glimmer of hope for trailing candidates whose last chance will be a recount this weekend. By 3:30 Thursday afternoon, Democratic Senator Bill Nelson lagged in his race against challenger Rick Scott by more than 17,000 votes. Democrat Andrew Gillum was some 38,500 votes behind Ron DeSantis. In the race for Agriculture Commissioner, Republican Matt Caldwell trailed by about 500. With more than 8.2 million votes counted by Thursday, it’s clear this election is much closer to 2016 turnout levels than 2014. It would be reasonable to think there are somewhere near 9,000 or 10,000 provisional ballots that will count. In 2016 is any indication, those provisional ballots will break to Democrats. In the biggest counties, counted provisional ballots were more likely to be for Hillary Clinton. For example, in Brevard, Broward, Hillsborough, Miami-Dade, Orange, Pinellas and Polk counties, Hillary Clinton beat Donald Trump by 14 points. But among those counties’ provisionals, she won by 24 points. But again, those are small potatoes. Even if Democrats win provisional ballots statewide 2-to-1, that might net 3,000 votes for Gillum and Nelson.